When it comes to wishlists, I don’t know any woman who isn’t hoping to receive a gift from Pandora under the Christmas tree this year. From bracelets to charms and rings to earrings, Pandora jewellery make the perfect gifts all year round but especially at this time of the year as they bring out a special Christmas Collection every winter. Over the years, I have amassed quite the collection of Pandora goodies, the vast majority of which have been received as gifts, yet my wishlist is still growing. In today’s post I wanted to share some of the pieces that I am currently coveting as well as the latest addition to my Pandora collection and the pieces that I think would make great Christmas gifts. This year marked the completion of my Pandora Moments Charm Bracelet which is the original bracelet that so many people have. I love how each charm represents a particular time or moment in my life and it brings me such pleasure and joy looking at it on my wrist. While my silver bracelet is full, I do have a Pandora bangle and a couple of the leather bracelets that I wouldn’t mind getting a couple of charms for. These bracelets are a great affordable option to buy as a gift, especially if your friend already has one of the silver bracelets as many do. The charm that I am lusting after the most at the moment is the Pink Princess Heart Charm as I think that it would look really sweet on my pink woven leather bracelet. Personally, I think that this style of bracelet looks best either worn on its own or with only a few select charms and the pink princess one would be perfect for me. Not surprisingly, the earrings that are at the top of my wishlist are also pink. The Statement Pink Sparkling Stud Earrings are absolutely gorgeous and I can imagine that they would look great when I’m wearing my hair up with bouncy curls as they’d really sparkle. I’ve seen these in store and they catch the light beautifully as do many of the other pairs that I love the look of. It is actually the rings from Pandora that I am lusting after the most for Christmas this year. It was my masters graduation on Friday and one of my closest friends bought me the Delicate Bow Ring as a gift which was the most wonderful surprise. I love Pandora rings and think that they would make a great option for so many different women this Christmas, especially if their Pandora bracelet is already full of charms like mine is. There is such a wide variety to choose from, whether the person you have in mind prefers large gem style rings, something sparkly or something a little more delicate. My advice would be to have a look at the rings she already has in her collection to find a similar style and if you’re unsure of her size, take advantage of the Pandora Size Guide. Simply print it out onto A4 paper and match up the existing ring with the circles on the size guide. You may have seen a photo of me wearing the bow ring on my Instagram and if you have, you’ll know how dainty and understated it looks. It sits really comfortably on my finger and sparkles with a subtle elegance. This ring looks great on its own or it would look equally as effective when stacked with other Pandora rings which gives you options for future birthdays and Christmas gifts! This is what I am looking to do with mine at the moment and there are so many that I think would look lush with the bow ring! 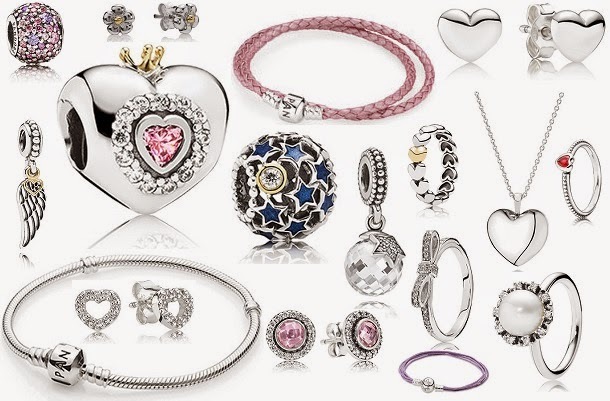 The great thing about Pandora is that there are lots of pieces that compliment one another so if you know that your loved one likes hearts, you’ll find charms, earrings, rings and necklaces to match which I know my hubby really appreciates when he’s looking to pick me something out. To make shopping even easier, there’s even a great gift guide over on the Pandora website. Let me know what your favourite pieces are in the comments! What are your favourite pieces from Pandora? What is on your wishlist this Christmas? I love Pandora jewellery. I have not any myself (as yet!) but the charms are always a great go to present for many of my friends. 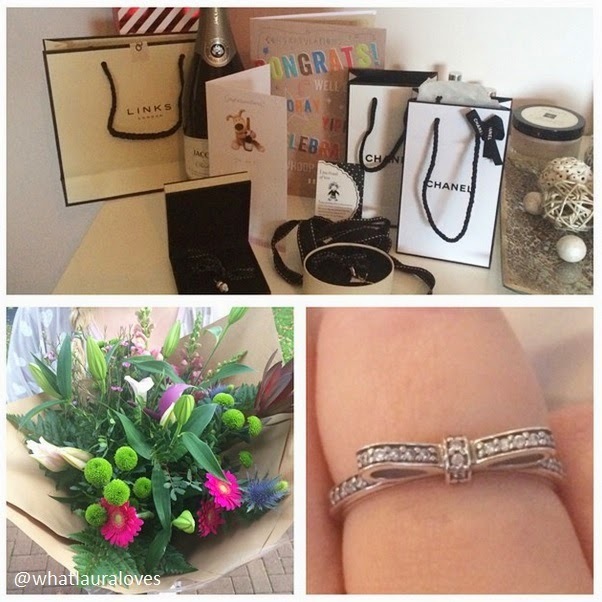 So glad you got spoilt as you deserve it babe! Love these picks on your gift guide!Lucie xxFatbeautyx | Plus Size Fashion & Beauty Blogger & VloggerDon't forget to join StyleLifeBeauty on their Facebook Group & Twitter helping to grow your followers and bring together Beauty, Fashion and Lifestyle bloggers.